Showing results for tags 'june'. The results are in! May's top voters are...  In 1st place, Pasqualio 30 coins & 1000 tokens In 2nd place, Seansbar 20 coins & 800 tokens In 3rd place, Operator2016 10 coins & 600 tokens Rank Player Reward 4th EkhoSonix 500 tokens 5th Hippie_Man_Stan 200 tokens 6th mpclass3 200 tokens 7th Captain_Rascal 100 tokens 8th Seungkwans 100 tokens And, in this month's double-feature, June's top voters were... In 1st place, Pasqualio 30 coins & 1000 tokens In 2nd place, Seansbar 20 coins & 600 tokens In 3rd place, C_rex101 10 coins & 400 tokens In 4th place, Hippie_Man_Stan 100 tokens In 5th place, Chakwaina 100 tokens Congratulations, and thanks to everyone who supported PickAxis by voting! Who will be next month's top voters? The results are in! July's top voters are... In 1st place, Seansbar 30 coins & 1000 tokens In 2nd place, C_rex101 20 coins & 800 tokens In 3rd place, DroopyPawn 10 coins & 600 tokens In 4th place, killaboymol 400 tokens In 5th place, TheLavaMob123 400 tokens In 6th place, Adensem911 400 tokens And, in this month's double-feature, June's top voters were... In 1st place, Seansbar 30 coins & 1000 tokens In 2nd place, EkhoSonix 20 coins & 800 tokens In 3rd place, WolfLover1015 10 coins & 600 tokens In 4th place, Adensem911 5 coins & 400 tokens In 5th place, Vovik_ukr 5 coins & 400 tokens Congratulations, and thanks to everyone who supported PickAxis by voting! Who will be next month's top voters? The results are in! June's top voters are... In 1st place with 154 votes, Sullear $30 store credit & 1000 tokens In 2nd place with 131 votes, RoryTheRoman94 $20 store credit & 800 tokens In 3rd place with 120 votes, Fox $10 store credit & 600 tokens Rank Player Reward 4th ZTolerance 400 tokens 5th skarzs 400 tokens 6th KnightDraakon 200 tokens 7th Caligo_Ignis 200 tokens 8th latina8599 200 tokens Most time spent playing in June Caligo_Ignis 1000 tokens Congratulations, and thanks to everyone who supported PickAxis by voting! Who will be next month's top voters? We hope you enjoyed the temporary challenges we had in May (WhatTheNether, LoudLibrarian, & AprilShowers). You voted and chose to resurrect the NethernLights challenge (from April) permanently. It's been slightly changed, but is now a permanent part of the Special challenges on Skyblock. For June, we have 3 new temporary challenges: You also receive a lime wool block with each June challenge you complete. Do you like June's challenges? Are you happy NethernLights is back? Have ideas for July's challenges? Let us know in the comments.